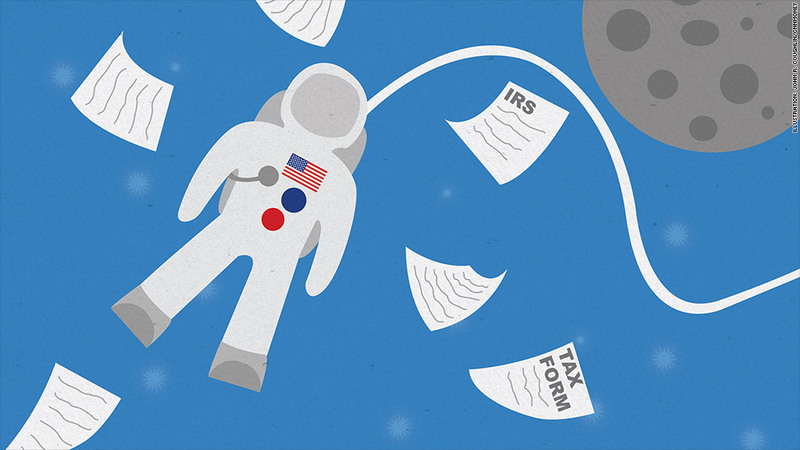 Astronauts still have to file their taxes on April 15 every year -- even if they're floating in outer space. Americans just cannot escape the Internal Revenue Service -- even by strapping on a space suit and blasting themselves into outer space. Yes, that's right. Astronauts are on the hook to file taxes by April 15, even if they're orbiting hundreds of miles above Earth on a long-term mission. The IRS -- the much-feared enforcer of the U.S. tax code -- makes no exceptions. Experts say astronauts don't get special treatment, no matter how far away they are from the planet. NASA astronaut Leroy Chiao -- commander of the tenth expedition to the International Space Station -- was in orbit when tax day rolled around in 2005. Chiao had no choice but to manage his taxes from space. But how exactly did that happen? "Get someone to help you out on the ground," Chiao said. The mission commander's sister is an accountant, and she was able to file papers on his behalf to extend his tax return deadline. "He certainly had a good, valid reason [for the extension]," said his sister, Judy Chiao Smith. After eight months living on the International Space Station, Chiao returned to earth on April 24, 2005 -- just nine days after tax day -- and got busy working on his tax return. Since astronauts are routinely gone for months, "you do have to anticipate everything," Chiao said. The astronaut ticked off a laundry list of events to prepare for: voting, birthdays, anniversaries and even Christmas. Taxes are no exception. Astronauts need to "make sure their mail is getting redirected, so the [tax forms] and other information from the government actually goes somewhere, and isn't held at the post office," Chiao Smith said. "If you're up there in space, you can't get ahold of the data." Another strategy is for astronauts to file taxes early, said NASA spokeswoman Nicole Cloutier. Some astronauts "file an extension pre-flight, or their spouse handles filing the taxes," she said. Taxes have long stressed out astronauts -- Jack Swigert, a last-minute addition to the Apollo 13 crew, even radioed Houston's mission control center for tax help while the mission was underway. "Hey, listen, it ain't too funny; things kind of happened real fast down there, and I do need an extension," Swigert said, according to NASA transcripts. "I didn't get mine filed, and this is serious." With laughter in the background, mission control promised to help Swigert. For accountants that work on astronaut taxes, the physical location of their clients raises some interesting -- or perhaps bizarre -- questions. Americans living abroad can claim an exemption on income earned in a foreign country, for example. Could an astronaut also claim the exemption? Experts say NASA astronauts working in outer space probably wouldn't qualify. 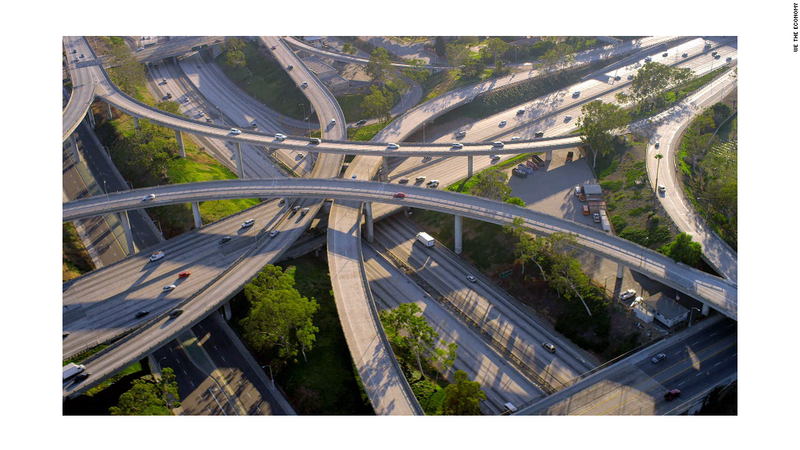 That's because government workers aren't typically eligible, and the IRS doesn't consider international airspace or waters to be a foreign country, said Vincenzo Villamena, an accountant who specializes in expat taxes. "Even if the astronaut was stationed on board the International Space Station, it would be considered an offshore shop or offshore installation [subject to U.S. taxation]," he said. But does the IRS definition of "international airspace" extend to altitudes beyond the Earth's atmosphere? The tax code is silent on the issue, though it might come into play if the private space travel industry continues to develop. The IRS did not respond to a request for comment. "It'd be an interesting argument to make, because technically, you are out of the country," Chiao Smith said.